This unique archive documents Russian criminals' tattoos and their coded meanings. Just as there are no two snowflakes are alike, so should the tattoos. That's the idea, but who are we kidding? In a time defined by social networks where every single thing must absolutely be is shared, the chances of you having anything original is pretty slim. This and the fact that I cannot draw, have lowered my expectations when it comes to getting an original tattoo design. But what if you could get someone to tweak a design for you? Isn't that option a lot better than having something that is a 100% knock-off? Such promise (and the fact that the place is just a stone throw away from where I live) was the very thing that lured me to Snow Tattoo. 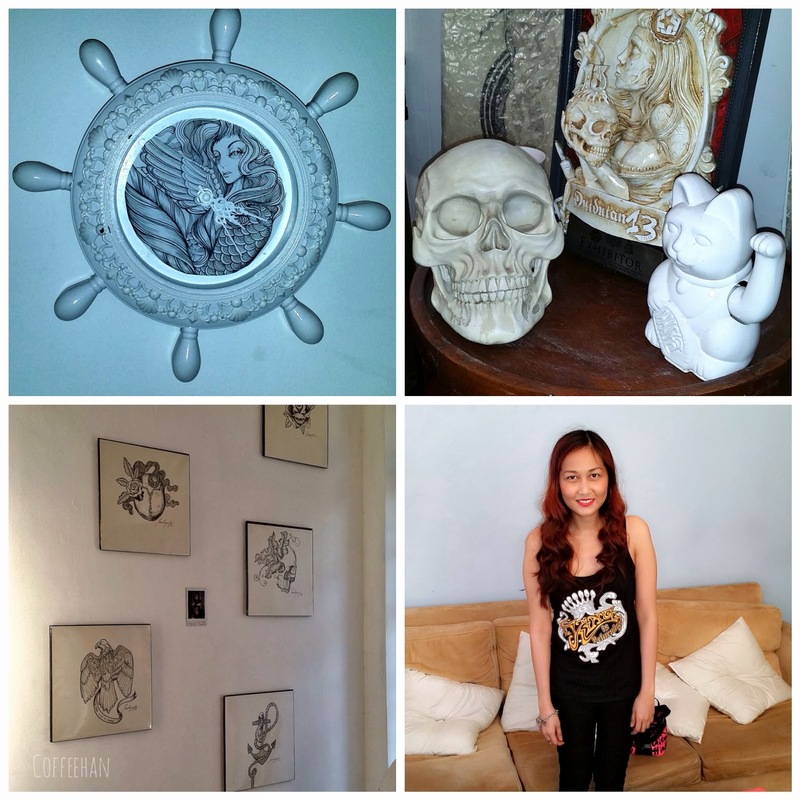 Snow Tattoo is a two-year old tattoo shop located on the second level of saGuijo Cafe & Lounge. 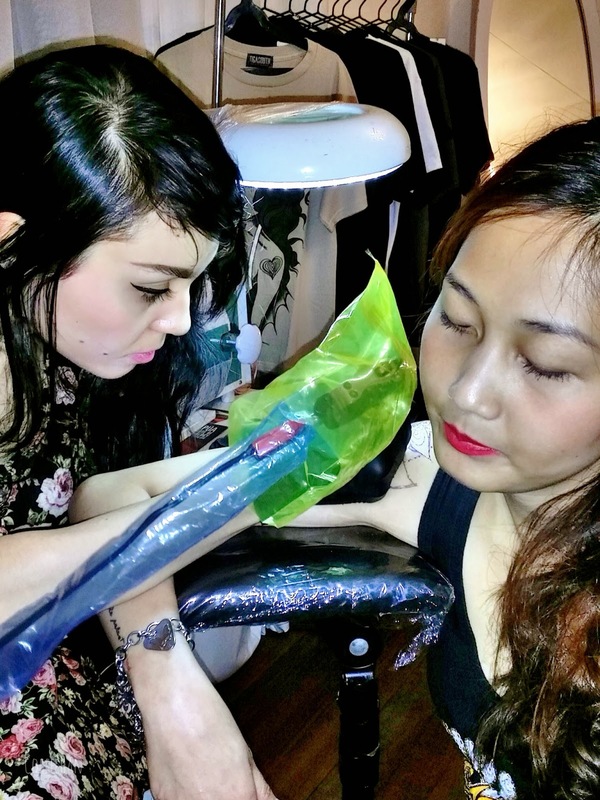 It is young compared to the more popular (and expensive) tattoo shops but it managed to find its way to the hearts of ink enthusiasts. 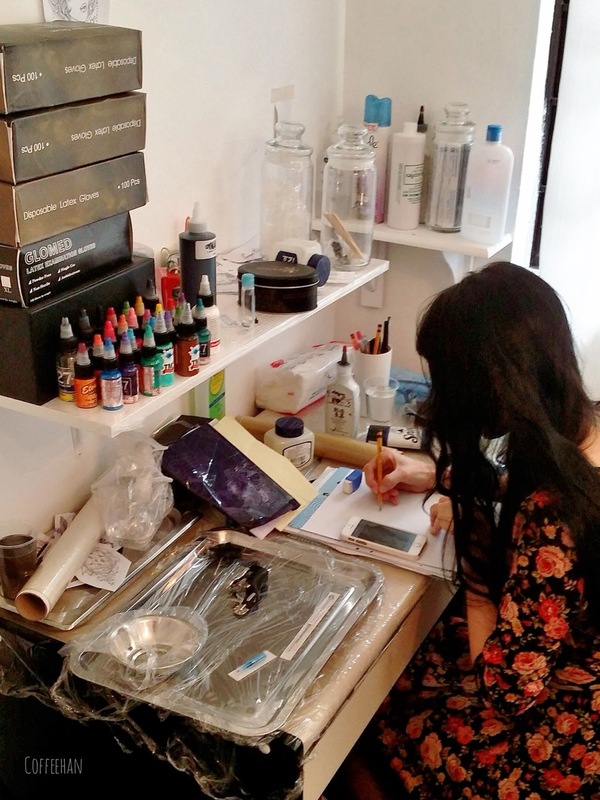 In this tattoo shop, clients have the option to get an original design. You see, Sarah is a talented artist, she can either tweak the design that you want so it'd be your own, or sketch a new design right off the bat. Everything about Snow Tattoo, I love. 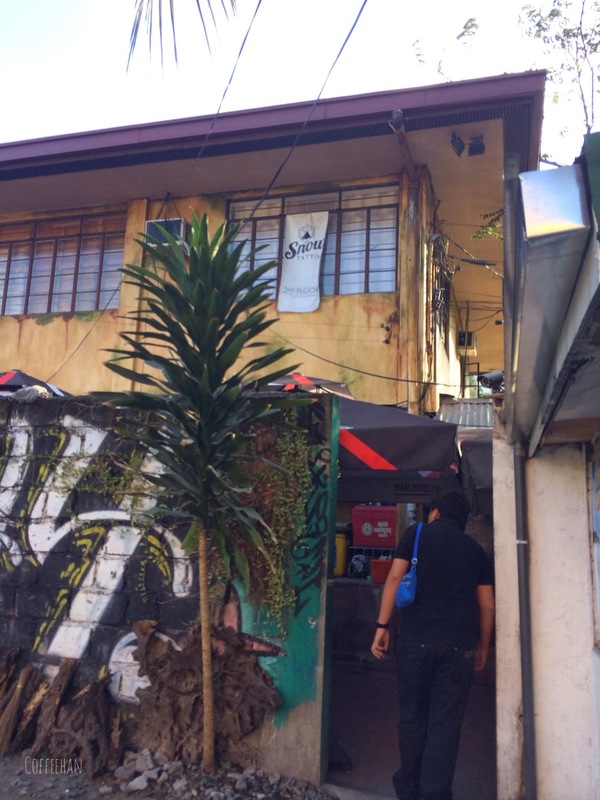 It's like an antithesis of tattoo shops; no loud rock music playing, no thug-looking people hanging about, the walls were painted in white, and the place was well lit. There's a comfy couch to accommodate the clients, interesting art pieces scattered about, and the intricate drawings of Sarah are on display. 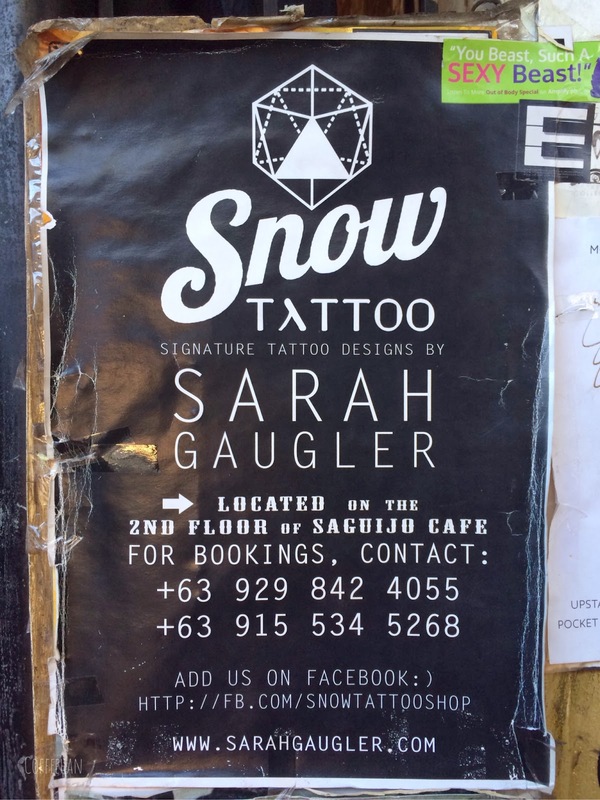 There is only one artist in this tattoo shop, Sarah, so it is quite important to get an appointment beforehand. When I mentioned earlier that Sarah is talented, I meant it by the true sense of the word. 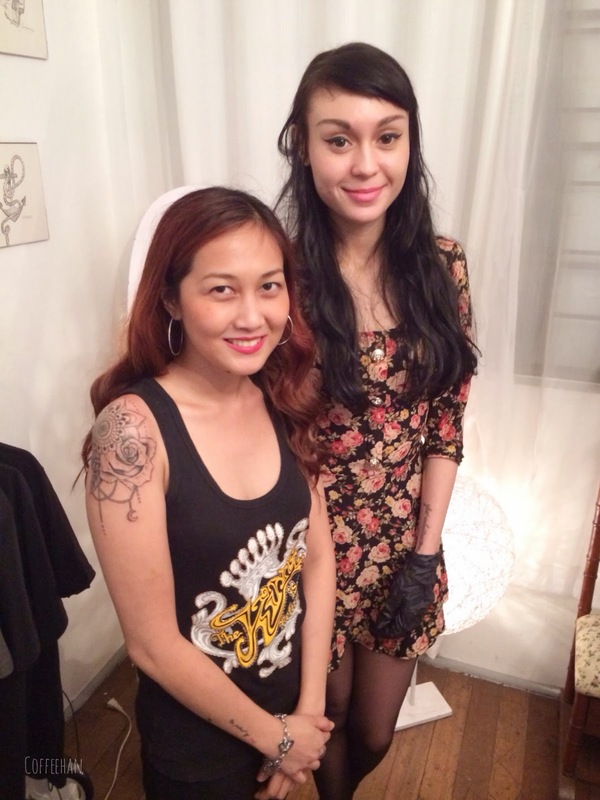 Aside from doing tattoos, Sarah is an indie actress, a music artist, and a model. 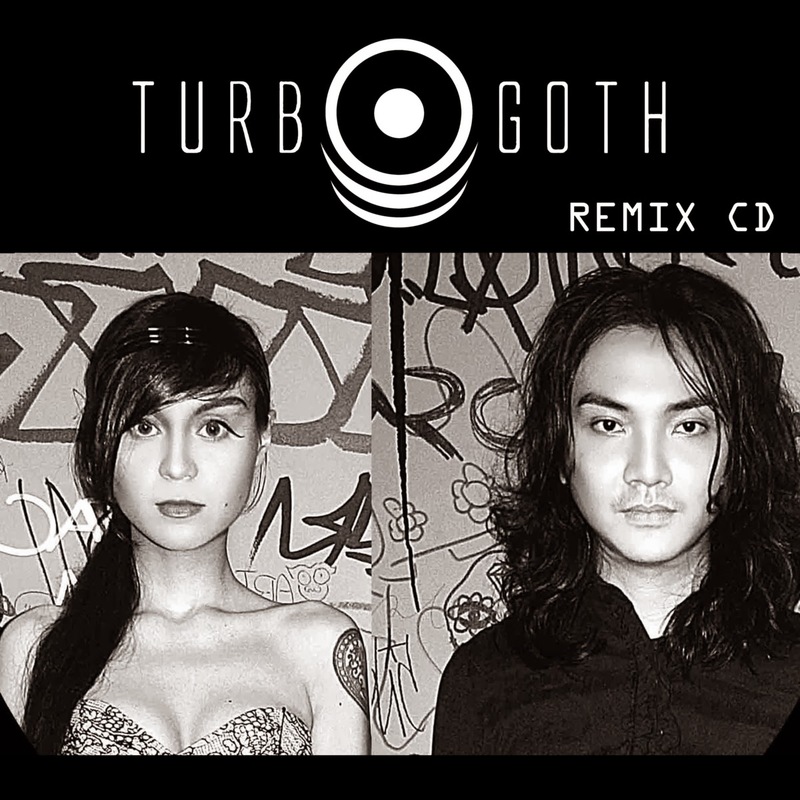 Oh yeah, she's a rock star, Sarah and Pao comprise the electronic rock duo, Turbo Goth. Imagine being inked by a rock artist, yes, I'm stoked! At first I thought it would be awkward because it's easier to believe that celebrities are a bunch of arrogant bastards, but Sarah and Pao are just the opposite. They arrived with big smiles on their faces and they were quite apologetic for being late. Sarah even kissed me on the cheek. I was like, wow, these people are something. I brought the design that is the inspiration of the tattoo that I want. I stumbled upon this photo while searching for a mandala design. 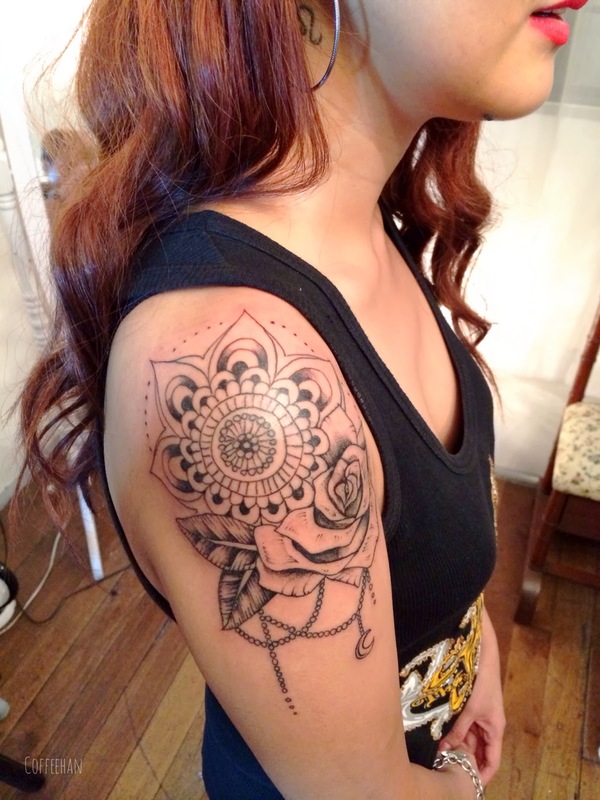 Mandala is a ritual symbol in Buddhism and Hinduism, signifying the universe. 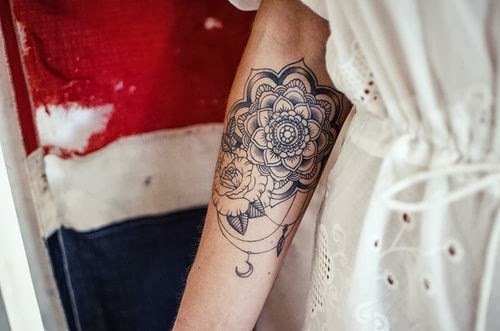 I showed the design and told her that I want it on the edge of my shoulder and that it should fall a little bit on the upper part of my right arm. Upon asking what would be the damage, she answered that something that big may cost me anywhere between 8,000 to 12,000. My heart sank because I was only carrying 8,000 bucks. Just when I was already thinking of leaving sans a new tattoo, Sarah asked what is my budget. I said that I could shell out 7,000 to 8,000. To my surprise (and utter delight), she said "okay". I appeared calm but inside I was jumping up and down. Finally! 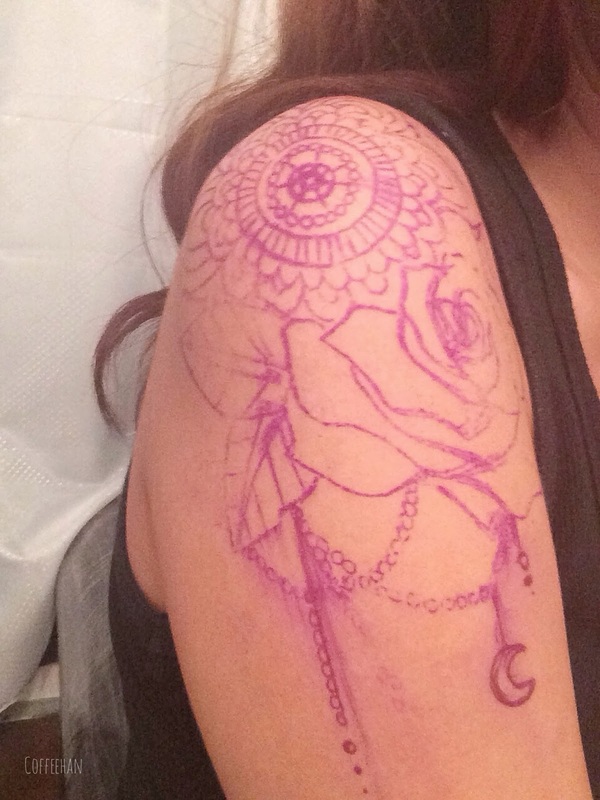 I could get inked by Sarah Gaugler! Sarah then began working on my design. Though she was looking at the photo for inspiration, I gave her free reign on how she could tweak it so it wouldn't be in the exact likeness of the original. While waiting, my companion, Christian and I talked with Pao. Pao, just like Sarah is very nice. Sarah, from time to time would join our chitty chat. Next step, the image transfer. After cleaning the area with alcohol, Sarah placed the stencil on my skin. Here's the image before it was made permanent. Sarah then started preparing the materials. Sarah started from below and worked her way up. We we were talking during the entire procedure. Sarah wasn't selfish about sharing some things about her like her acting career. Coincidentally, I actually saw her in the film, The Diplomat Hotel where she worked with Gretchen Baretto. When she asked me how did I find the film, I froze up just a little bit. Should I tell her the truth? But she's such a darling, I didn't want to hurt her feelings. Not sure if Christian noticed what was happening but thank god, he talked. He said that the review for the film wasn't exactly ecstatic, to which Sarah agreed. For the record, I love Sarah, I'm just not too keen on the said film. I noticed that Sarah wasn't completely comfortable talking about her acting career, but when it comes to tattooing, her eyes sparkled. You could really tell that this is something that she is so passionate about. When asked if she gets tired doing tattoo, she said no and shared that she once told a friend that she has so many tattoo ideas in mind it's just that her body couldn't keep up. After two hours the session finally ended. I swear I barely noticed the time, even the pain, because I was enjoying our conversation with Sarah and Pao. When I had my tattoo at 55 Tinta, the artist was quiet and since I'm not particularly fond of talking with strangers, I didn't really mind. Now, I'd rather have an artist who talks. I realized that talking is actually helpful because it distracts you away from the pain. The tattoo turned out to be real pretty and I love the details that she added and changed like the little pearl chain. My favorite would be the rose, the image has depth, which makes it look alive. Like me, Sarah was happy and excited to see the result of her effort. Without a question this is now the prettiest tattoo that I have. But more than the design, the whole experience has been pleasant because Sarah and Pao were so nice to us. Already I am planning to go back to get another tattoo and next time, I'm going to have an original by letting Sarah make the design from scratch. After posting photos of my new tat, many of my friends on FB started asking me about it. So I made an FAQ but I posted it on my other blog, Love Letters From Midori. If you too are curious, just click here to see the said post. I only have high praises for Snow Tattoo and I am recommending it to anyone who want a design they could call their own. 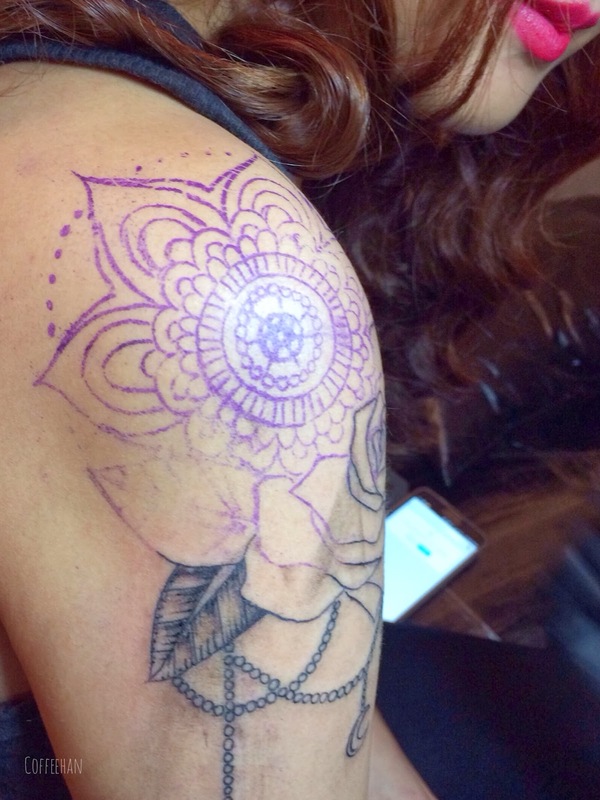 About 'forearm sleeve tattoos'|Tribal Arm Sleeve? Tattoo Russian. Powered by Blogger.